I think it’d be an understatement to say that Al and I needed a break. We’ve both had a lot going on, been under stress, feeling run down and a bit over it. We needed time out and we needed some time away, so booked a mini break to Wales for a bit of a breather. And it was the best decision we could have made. 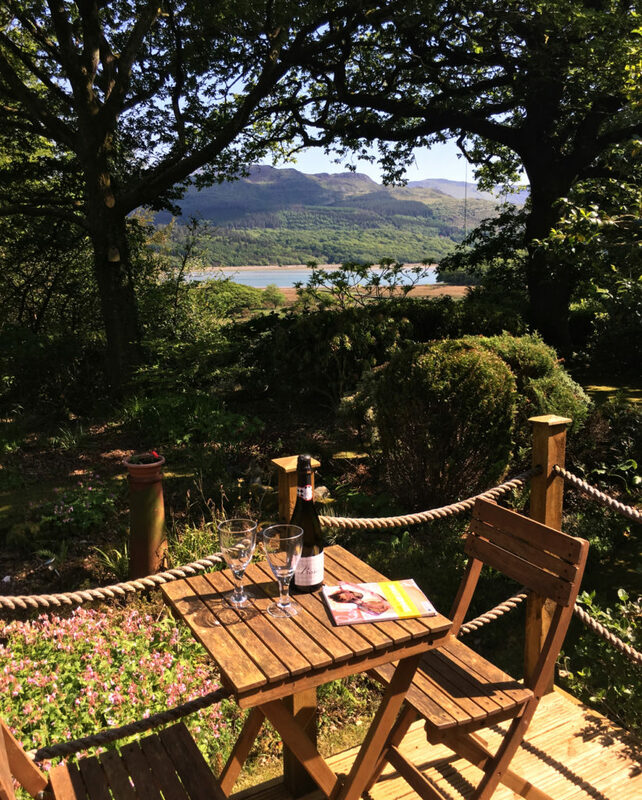 We chose a cute cottage in the seaside town of Barmouth, based really, on the view of the Mawddach Estuary and the Cadair Idris mountain from the terrace alone. I’m very pleased to report it lived up to how romantic it looked in the pictures. What made the barn even more attractive was the fact that it had no phone signal or wifi, meaning I had no choice but to switch off. Instead of reaching for my phone for a pointless social scroll, I would get lost in the glorious view, go for a walk around the garden, pick up a magazine or start (and very quickly put away) a puzzle. It was like going back to basics and my god, was it refreshing. Al and I spent time discussing our plans for the future. We wandered up and down the local high street, stopping for tea and pub lunches. We meandered from one shop to another, picking up some new throws for our living room and a bag of chocolate mice from the traditional sweet shop. We stopped each other every 10 minutes to make sure we were both taking in the beautiful surroundings. We ran along the beach. Breathed in the fresh air. Laughed at how many pictures of sheep we were taking. We laughed a lot. Drank wine on our terrace. Gazed lovingly into each others eyes. All without the usual every day distractions. I didn’t think at all that I was missing out on social media – I stopped once to post a pic of us at the top of Snowdon, because you know, bragging rights – and I liked not being contactable all of the time. It actually helped my anxiety. I felt calm, revived, refreshed and much, much lighter. Something I’ve been struggling a bit with now I’m back to reality.